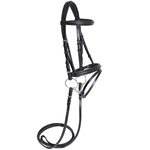 The Modena is a bridle without comparison and a true work of art. Raised fancy stitched Italian leather with a sewn in flash cavesson. 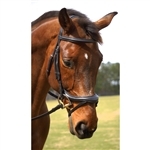 Features a padded inlaid crown, fancy stitched, padded and raised browband and cavesson. 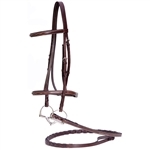 Sold with matching soft grip reins that are also raised and fancy stitched.